Sprint unveils Any Mobile Anytime plan | Android Blast! Sprint is making a major move to try and get back all those customers they've lost recently. They have officially unveiled a new "Any Mobile Anytime" plan as an extension of their current Everything Data plan. 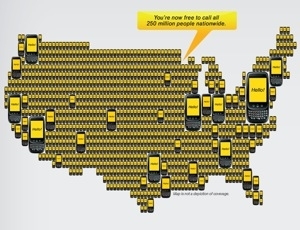 It means Sprint users can call any mobile phone on any network in the US, and talk for as long as they want. Everyone on the existing Everything Data plan will automatically receive the new plan free of charge at the start of the next billing cycle. That means no more counting minutes while talking to any mobile phone on any network. The plan does not apply if you're roaming on another network, but essentially this changes the game for mobile phones. Unlimited everything all the time sounds pretty good.